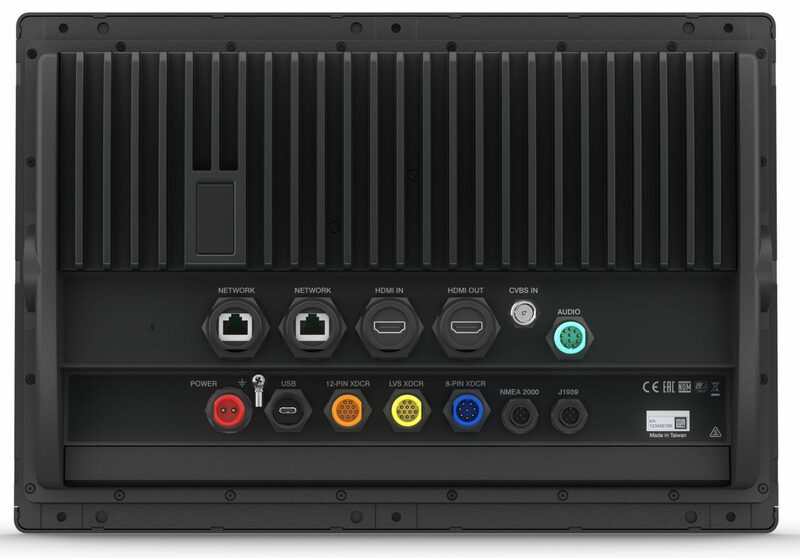 Garmin has recently discontinued their proven 7600 Series and upgraded their 10", 12: and 16" units up to their "best in class" 8600 Series standards. Let's dive into these new units and see what they are all about. This article will only be discussing the 10", 12" and 16" and will not include the larger displays. 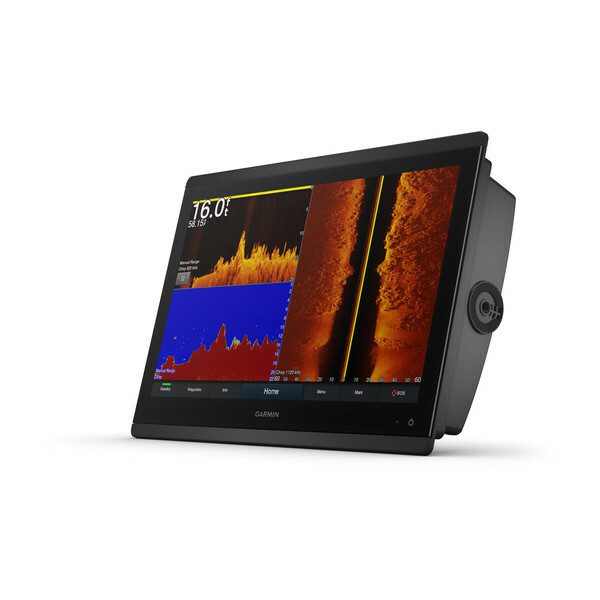 Garmin 8600 Series units are available in 10", 12", and 16" displays, and are offered as a networkable chartplotter or as a chartplotter/sounder combo. The chartplotter/sounder combo models are followed by "XSV", such as 8612XSV. The screens are sunlight viewable and have very wide viewing angles. The high resolution they offer makes them some of the most crisp screens in the business. These units can be flush mounted into a dash, recess mounted for a glass bridge look, or bracket mounted. All models are touchscreen, but an optional keypad called the GRID can be added. Preloaded with Garmin's new G3 Cartography which feature Navionics Cartography and offer Auto Guidance out of the box. These systems are offered a few different ways. First, as mentioned above, if a unit has an "XSV" suffix then it has a built-in sonar. Without the XSV it is just a chartplotter. All of the 8600 series units come preloaded with Garmin charts for the entire USA, both coastal and inland lakes. You will also see what appear to be identical units called the 8400 Series. Take the 8412xsv for example. These units are identical, however they are not preloaded with maps. 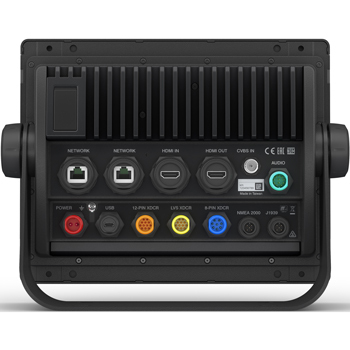 If you are outfitting a boat that requires multiple units, and you want sonar, you will only need to buy one as an XSV. The Sonar from this XSV unit can be networked to the other units so that they all act as XSV units. Aside from the charts and the sonar, these units are offered in 3 different screen sizes. Anything additional you want can be added on. Garmin is great with compatibility, so just about any current Garmin add-on will be compatible with these units. If you want radar, all you need to do is buy a dome or array. If you want weather, you need the GXM53. You can buy the appropriate transducers for the capability you are seeking. If transducers and their capabilities are confusing then call us for advice. 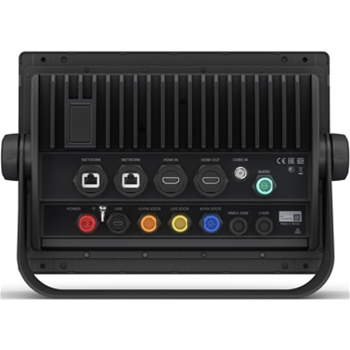 Plan on buying a NMEA2000 starter kit and an additional T Connector and NMEA2000 Cable for each unit you buy beyond the first. You should also plan to get a network cable for every unit beyond the first one. Popular Add-Ons are listed under each units product page on the "Accessories" tab. 8616/8616xsv - 15.1" X 10.3" X 3"
8612/8612xsv - 11.9" X 8.5" X 3"
8610/8610xsv - 10.25" X 8.06" X 2.95"